04/17 - 05/17 Edits 01: Paddy Hartley. The Lowry, Salford. Walter Ernest O'Neil Yeo was a plymouth born sailor who sustained horrific facial injuries aboard the HMS Warspite during the Battle of Jutland in 1916. Walter underwent pioneering facial surgery at the hand of Sir Harold Gillies and although aesthetically the success of the surgery was questionable, it was entirely successful in restoring function to Walter's badly burned eyelids. Walter's story is conveyed in 'Crossword', presenting key words and phrases from research gathered by Paddy over a 12 year period. The starting point for the research was Walter’s medical record held by Gillies Archives and now in the collection of the Royal College of Surgeons England. From this point, additional information was gathered from the National Archives Kew, newspaper appeals and respondents, Walter’s extended family and Sheila Yeo from The Yeo Society. A key piece of information contributed by Walter’s Nephew George, was that Walter was a keen crossword compiler for national newspapers. 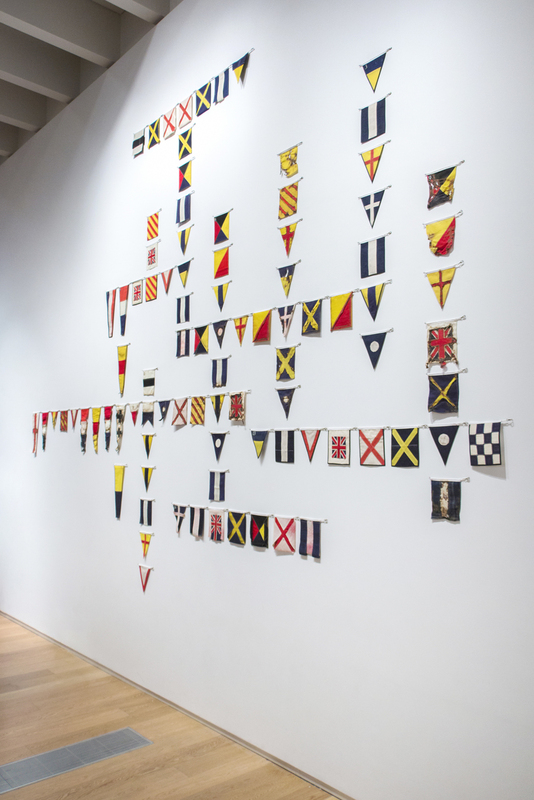 By combining the crossword puzzle format with the naval signalling flags used by the Navy from 1913 and throughout WW1, Paddy managed to devise an artwork which required the viewers active participation in solving the puzzle to understand the story the puzzle conveys. 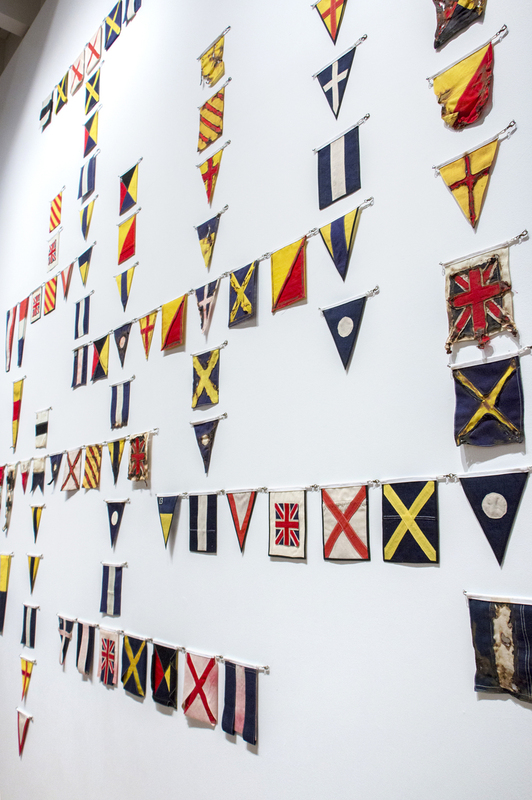 Signalling flags are used to communicate from ship to ship or ship to shore over a distance and was an entirely appropriate metaphor for telling a story over a ‘distance of time, from the past’ so to speak. 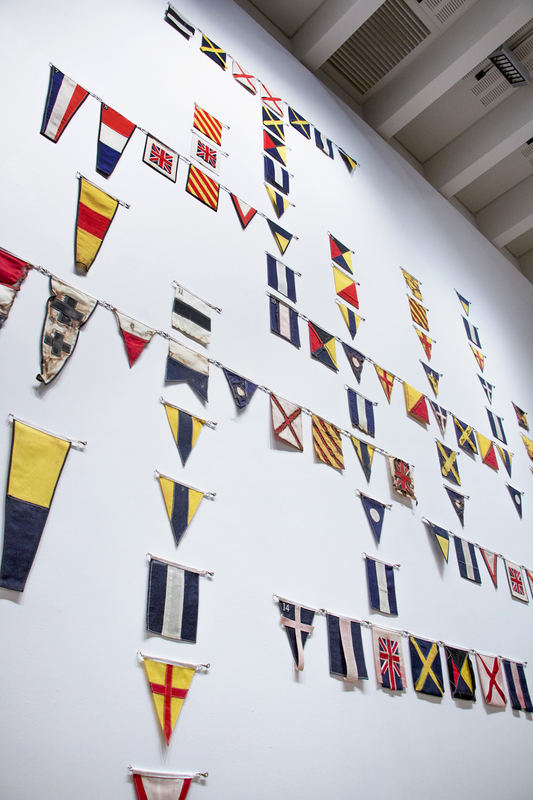 Each flag in the crossword is unique in the set and are made from original salvaged and vintage naval signalling flags which have previously been used aboard ship. 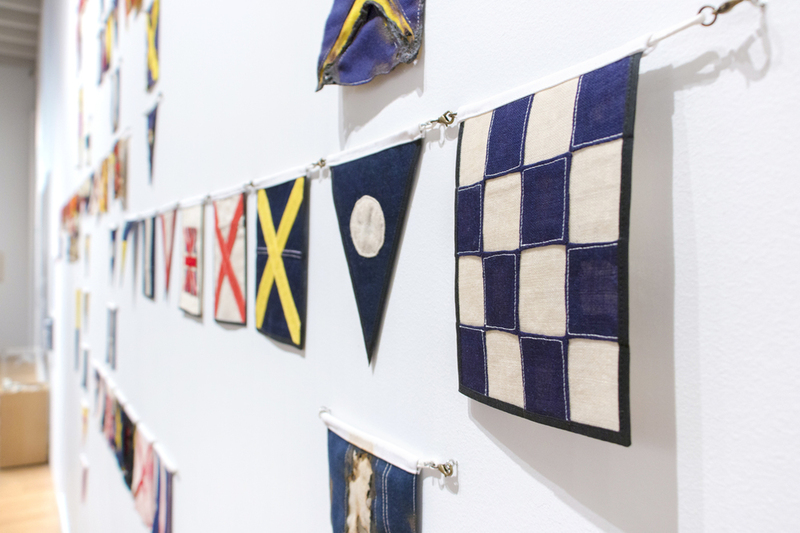 Each flag is constructed with subtle differences and are grouped by theme, context, construction method and fabric treatment to enrich the content of the piece. 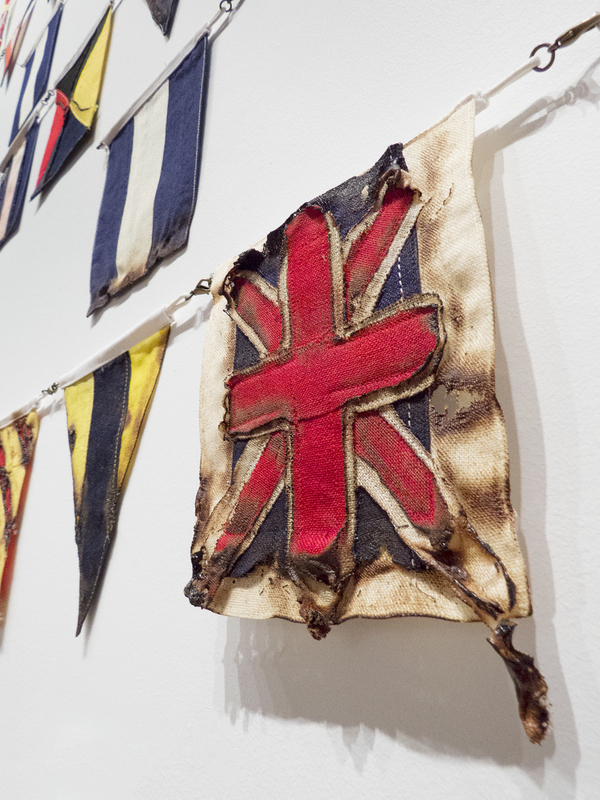 Wherever possible, details from the original flags from which these new flags were created have been included. Holes, hems, tears and dye run are all retained. For additional content regarding the creation of 'Crossword' visit the News section of this website of click on this LINK where you can download the crossword matrix, questions and key to the flag to complete the puzzle.